Oy Lunawood Ltd and Metsäliitto cooperative have signed a contract on 6 June 2016 in which Lunawood will acquire the entire ThermoWood business of Metsä Wood, located in Kaskinen. As a result of this business purchase, the annual capacity of thermowood production for Lunawood will increase from 81 000 m³ to 105 000 m³. The combined annual turnover of Oy Lunawood Ltd and the Metsä Wood ThermoWood business will be around 40 million euros in 2016, and the company will employ a total of 83 people. This business purchase will strengthen Lunawood’s position as a global market leader and forerunner in ecological thermowood solutions. Products and solutions that have been made from the best local raw material to meet customer needs play a key role. “With the purchase of the Kaskinen ThermoWood business we can guarantee the continuation of our strategic growth in the future,” says Lunawood Chief Executive Officer Arto Halonen. “We are able to provide our customers with an even more comprehensive range of high quality thermowood products. We will also improve the level of customer service thanks to the growth in our capacity. In accordance with our company strategy we will continue to develop and grow the business by investing in Kaskinen, where we plan to double the production capacity in the next five years,” continues Halonen. The number of Lunawood personnel will grow through this business purchase. All of the 11 employees of the Kaskinen production facility will join Lunawood as established employees. A project to clarify the roles of each production facility and update the company strategy will begin immediately. “We are aiming to identify and utilize synergies in for example raw material sourcing, subcontracting and our customer segments on the markets,” explains Halonen. The sales organization in the export markets will be strengthened due to this acquisition. In the future the company will be led from the Lahti office. 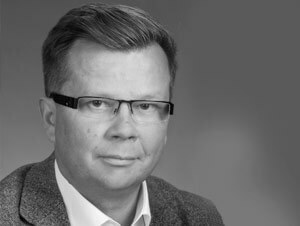 The positive effects of this acquisition will become visible for our personnel and our customer already during 2016,” emphasizes Halonen. Thermowood produced in the ecofriendly method of Lunawood is dimensionally stable, weatherproof, has no resin and is non-toxic. Our raw material is mainly Finnish Pine and Spruce, and our process changes their natural qualities permanently hardwood-like. Our standard range consists of several decking products, indoor and outdoor claddings as well as solar shades. Our products are suitable for industrial use ase well as for professional builder’s and consumer’s uses. We process the byproduct from our thermowood production into a thermowood composite marketed under the brand name LunaComp. Lunawood is an international marketleader in thermowood products, and a goal-oriented growth company that has 72 employees at its Iisalmi and Joensuu production facilities, Lahti sales office and in the global market. Metsä Wood-ThermoWood is a global producer of thermowood products, with 11 employees in its Kaskinen production facility. Metsäliitto cooperative is the parent company of Metsä Group. Metsä Wood is part of Metsä Group. Oy Lunawood Ltd., majority owner funds managed by CapMan Oyj.